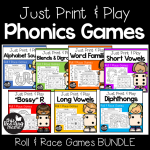 If you teach Kindergarten, this pack will give you a FULL YEAR’s worth of word study activities for teaching phonics/spelling with your letter name-alphabetic spellers! 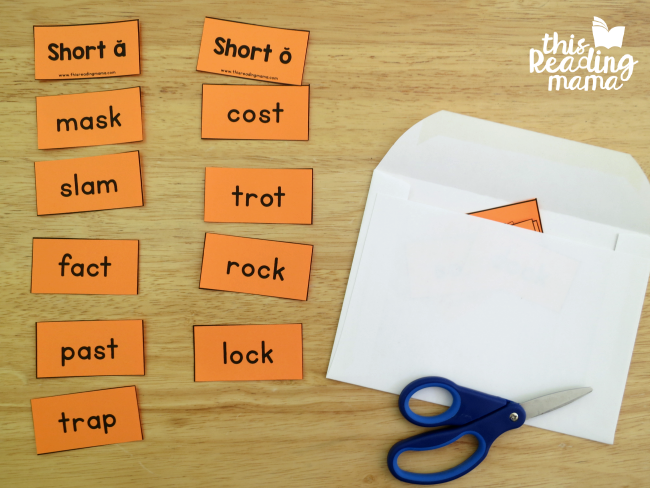 This robust sorting pack includes 8 different phonics patterns in a variety of activities…plus EDITABLE sorts! 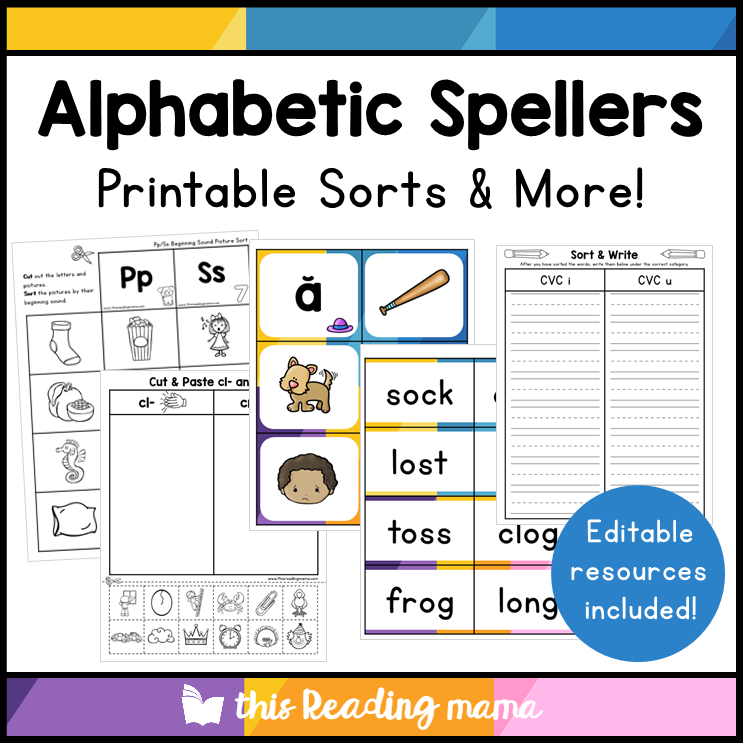 If you’ve seen our Alphabet Spellers App for beginning spellers, you know that this printable resource goes hand-in-hand with it. 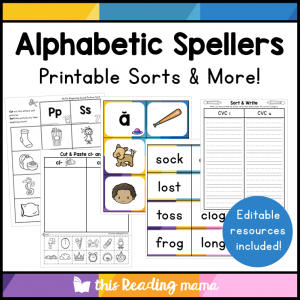 While the app is comprehensive, the purpose of this printable pack is to make your word study instruction for your alphabetic spellers even more robust! 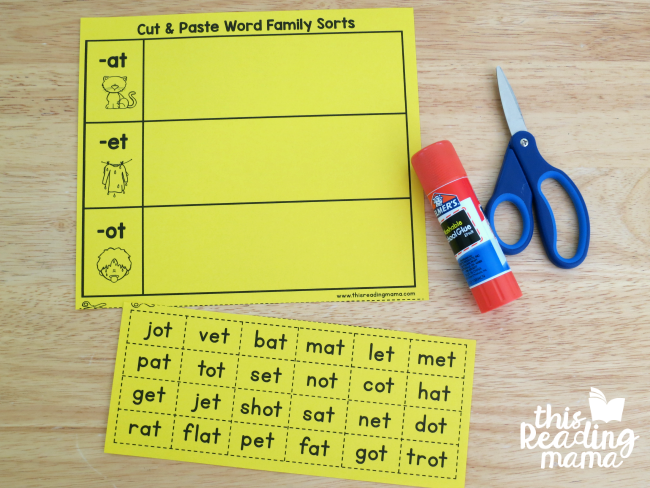 You’ll find MORE than one kind printable sort for learners in this resource. See all the versions below! 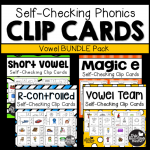 This pack includes printable picture sorts that learners can cut, sort, and store in an envelope for beginning sounds, ending sounds, short vowel sounds, beginning blends, & beginning digraphs. 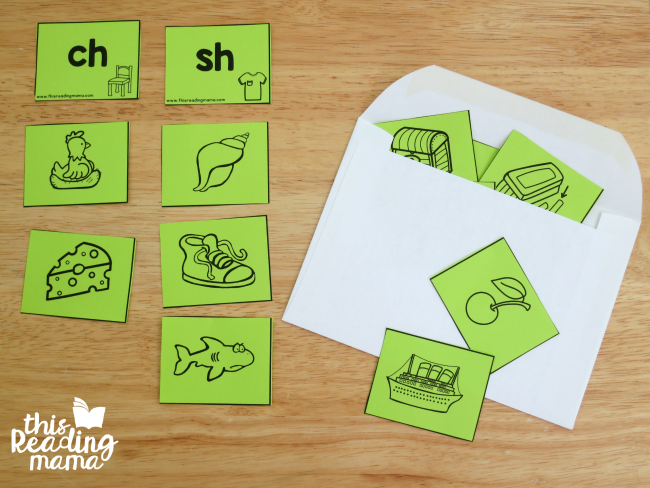 The same kind of word sorts are included for word families, CVC words, and longer short vowel words. 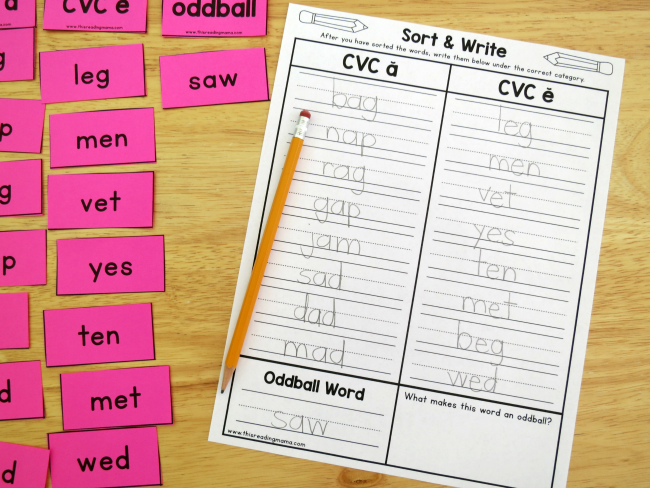 I recommend using the oddball words with the sorts, but you can also print resources without them. All of the picture sorts and many of the word sorts also have Cut & Paste sorts that go correlate. These are great for a quick center or at-home practice. All the picture and word sorts have been included in pocket chart resources in Part 2 of the pack. And…drum roll, please… they’re all self-checking when you print them front to back! 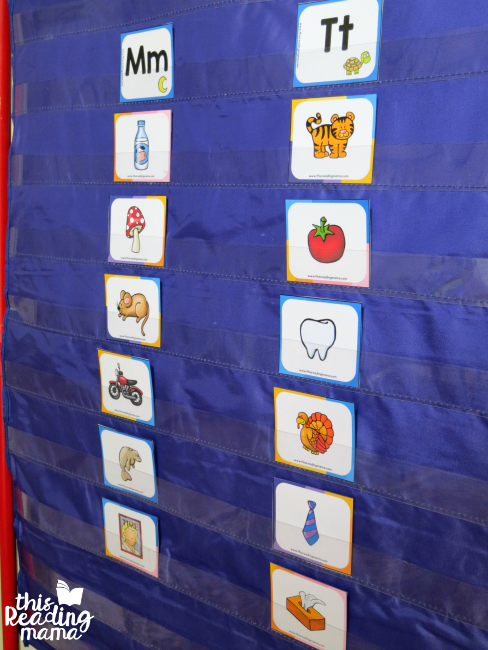 Pocket chart resources are included for every phonics feature from the app. To compliment the app, resources for a Word Work Notebook, Sound Hunts, Word Hunts, Sort & Write pages, and EDITABLE pages are included! 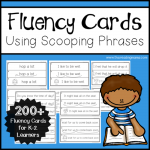 You’ll also find information pages about the theory behind word study, how to introduce a sort, weekly word study routines, as well as other activities you can use to give your learners more experiences with the phonics patterns they will learn. 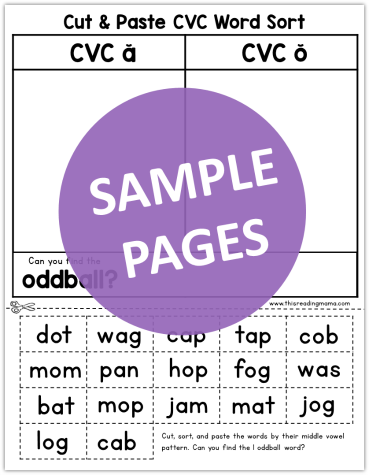 When you combine this printable resource with the app, you’re talking comprehensive plus! Click on the image above or HERE to see sample pages from the printable pack!